You will find all the accessories you need to go perfectly with your medieval or Lord of the Rings tobacco pipes here. We carry tobacco pouches, wooden pipe stands, and leather sheaths for your pipes. Our suede tobacco pouches are lined to keep your tobacco nice and fresh. 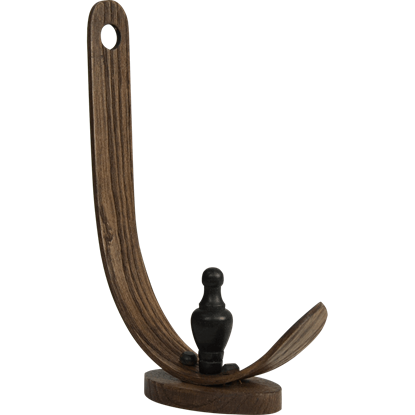 Wooden pipe stands are for all of the long stem pipes we carry, and they display them nicely when you are not using them. The faux leather pipe sheaths keep your pipe protected from scratches and dry during travel. These sheaths are a must if you plan to take your pipe camping, hiking, fishing or on any long journeys. This high quality hardwood Pipe Stand with Tamper fits all of our churchwarden pipes excluding the Russet Pipe and Strider Pipe. It also comes with a beautiful tamper. This realistic stone sculpture is made of clay and is finished to look a rock. 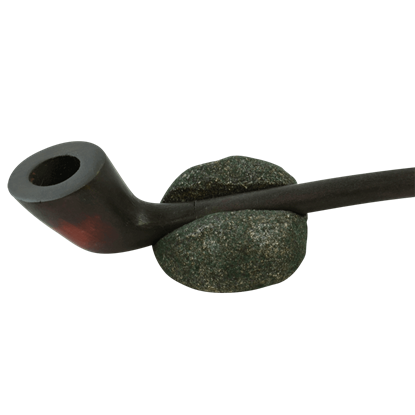 The Ranger Pipe Rock Stand comes complete with realistic moss and a felt base to protect the finest surfaces. This White Wizard Pipe Stand with Tamper is made entirely of wood. 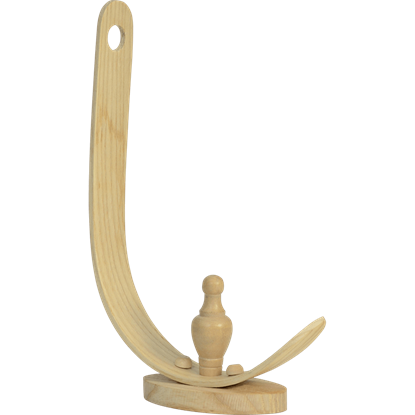 The White Wizard stand comes with a felted base to protect surfaces and includes a Cherry wood Tamper.